EPS Core Mesh leash 33” only 22” 33” Quality materials and style. Manta plug. Manta technology for the beginner. Mesh leash & Manta plug. Twin channels for wave control. Larger template with plenty of foam in the right areas for maximum enjoyment. Twin deck handles and towrope give an extra experience for juniors. Just fun. EPS core.Concave deck holds riders tight. For waves and beach towing. Mesh leash. Manta plug. PP cores are the signature bodyboard cores. High performance PPHD adds extra reinforced strength. (Nose & Tail Bumpers,Nose Bulbs, ) High performance, light weight, rigid & responsive. Elnino softboards are engineered to surf. 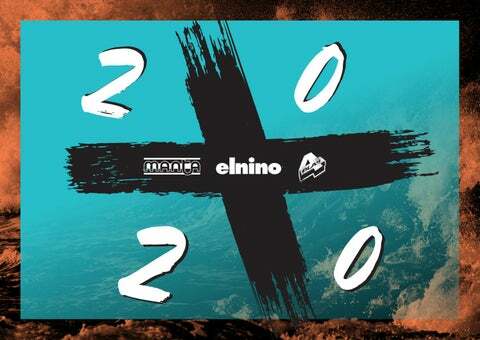 This is why no other brand offers a range with the diversity of the Elnino board family. The Elnino workshop has incorporated a detachable fin system on all the softboard range. There’s a board for everyone and every wave in the 2020 Elnino softboard range. Soft options can be very good! ALL BOARDS COME WITH A LEGROPE Cruiser 6’6/7’0 Rounded elnino mini mal templates with plenty of volume. Whole family can use these boards. Single stringer 6’6/ twin stringer 7’0. 8’0 Diva 6’6/7’0 Rounded elnino mini mal templates with plenty of volume. Special graphics. Whole family can use these boards. Single stringer 6’6/twin stringer 7’0. Nose and tail bumpers 7’0. Detachable triple fin system. Leg rope. Flow 5’6/6’0 Short boards for Junior riders up to 12 years old. The short board shape also works for experienced riders wanting to carve bigger waves. Single stringer. Detachable triple fins system. Leg rope. More aggressive riding board. Fish tail. Features twin stringers, Detachable triple fin system. Leg rope. Excellent quality, lightweight and fully adjustable Paddle. Ideal for stand up paddle boarding. Durable plastic blade, for safe and low impact paddling. The perfect price pointed option. Low cost entry point for juniors to get the surfing spirit. Up to 6 years. With stringer and twin fins, adds a bit extra to the junior experience. Up to 6 years. Elnino Softboard Sock Cover 6’/7’/8’sizes Flexible stretch cloth construction. Proven economical protection for your softboard and surfboard. The alternate movement within bodyboarding. Authentic, technically innovative, creative and drawing influences from our 4Play Central Coast origins. These boards just work. Take on the 2019 range. The Manta Classic fin from our own Manta moulds. Blade has comfortable wide foot pockets with rigid blades to deliver the perfect comfort to power ratio. Crafted with all natural Malaysian rubber. Quad drainage system. Floats in surf. We recommend Manta fin savers and finsocks. Save your fin from disappearing. Attach the Manta finsaver to your Manta and 4play fins. Separated floating swimfins donâ&#x20AC;&#x2122;t sink but can be elusive in the surf. Work to protect your feet from rubbing. Neoprene and reliable. Excellent value. Single board. 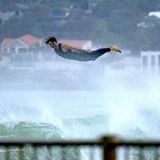 Flexible stretch cloth construction – extends to 44” bodyboards. Proven economical protection for your bodyboard. Up to 2 boards. Heavy duty canvas. Available up to 46” bodyboards. Large storage pocket. Drain holes. Shoulder and carry straps. Up to 2 boards (44”/2 boards) Padded compartment. Protects your bodyboards from dents. Up to 44” . Heavy duty 1680D external fabric. Large storage pocket. Drain holes. Shoulder and carry straps. Up to 2 boards Padded compartment. Protects your bodyboards from dents. Up to 43”.Heavy duty 1680D external fabric. Large storage pocket. Drain holes. Shoulder and carry straps. Manta Urban Cover 44” 2 boards/46” 1 board Padded compartment. Protects your bodyboards from dents. Up to 44” . Heavy duty 1680D external fabric. Large storage pocket. Drain holes. Shoulder and carry straps. Use the MANTA Performance Coil is for waves 2ft -8ft. MANTA SUITS USE TOP QUALITY YKK ZIPPERS AND OFFER UV SUN PROTECTION WHERE THE SUIT COVERS THE SKIN.